Are you looking for privacy and seclusion then this custom blt, one owner Ranch-style home w/4bd/4bth, frplc, & finished wlkout on 5 wooded acres just might be the perfect place for you! 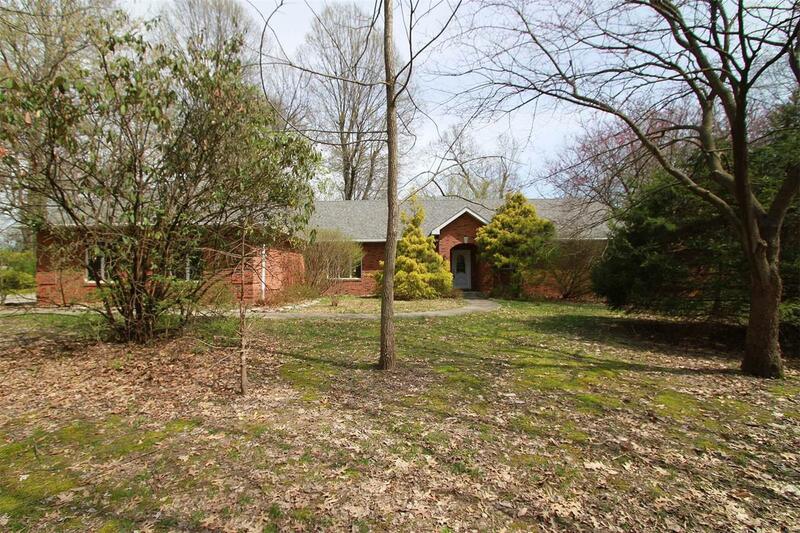 Brick home w/3 car side entry garage, an oversized screened in porch, & 2 large decks overlooking the woods. Hrdwd flrs, main flr laundry, formal dining, built-in bookcases, & leaf gutter guards are just few of the features. Living rm on main level w/ wood burning frplc. Kitchen w/solid surface counters, plenty of cabinet space, 2 electric stoves (one is where a built-in wall oven can go and designed for), & refrigerator. Main flr master suite w/ luxury bth & 2 walk-in closets. Finished wlkout features family room w/ built-ins, dry bar, 3 bdrms, bonus room, 2 full bths, and loads of storage space. City water, propane heat, and Norwecco Singulair Waste Water Treatment system. Minutes from SIUE, bike/walking trails, and downtown Edwardsville.